WASHINGTON, DC — This Saturday’s matchup between Bethune-Cookman (4-1, 1-0 in the MEAC) and Howard University (1-4, 0-2 in the MEAC) pits the MEAC’s top offense against the league’s best defense. BCU currently sits atop the conference rankings in both Total Defense (274.8 ypg) and Scoring Defense (18 ppg) while HU leads the MEAC in Total Offense (396.4) and Passing Offense (239.4). The Bison offense is directed by junior quarterback Greg McGhee who leads the conference in total yards (1414), passing yards (1153), and passing touchdowns (10); and only trails BCU’s Quentin Williams in passing efficiency and completion percentage. McGhee is coming off a stellar performance last week against North Carolina Central in which he completed 31 of 48 attempts for 328 yards, 4 TDs and no interceptions in a 28-37 loss. McGhee has the luxury of throwing to 3 of the league’s Top 10 receivers in Jonathan Booker, Brandon Flanagan, and Stewart Hartman. Despite the numbers, the Bison have struggled to translate their offensive proficiency into wins. HU pulled off a near upset in Week One against FBS foe Eastern Michigan and defeated Division II Morehouse a week later. Since then, the Bison have lost three consecutive contests being outscored 140-66 in the process. The Wildcats (who are ranked 13th in the FCS Coaches poll and 16th in the Sports Network Media poll) shook off a sluggish first half against Delaware State last week in route to their 14th consecutive MEAC win. 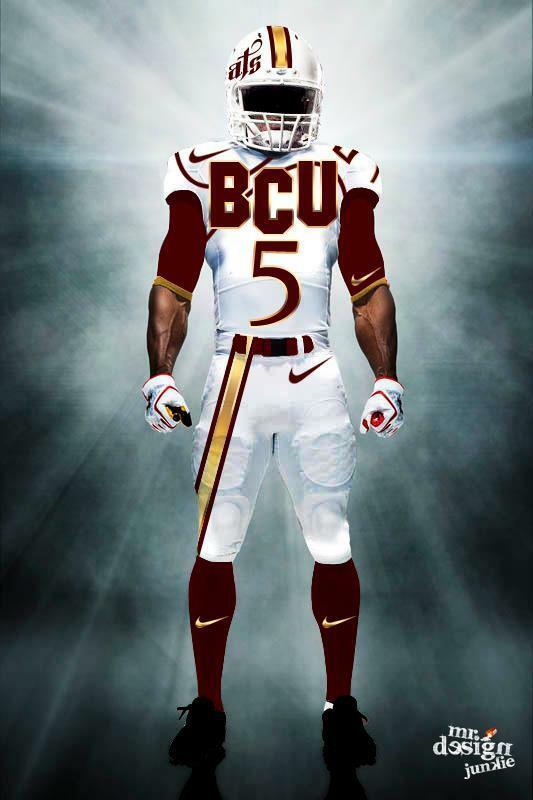 BCU’s consecutive game win streak stretches back to October 20, 2011. The Cats racked up 409 yards of offense against DSU including 241 yards on the ground. Four BCU running backs rushed for at least 40 yards in the contest (Cary White (65), Anthony Jordan (61), Isidore Jacskon (54) and Drexler Dixon (40)) while senior wide receiver Eddie Poole added 4 catches for 103 yards with 1 touchdown through the air. Defensively, the Wildcats have registered 6 interceptions, 15 sacks and 36 tackles for loss this season. The aggressive and opportunistic BCU defense could be poised to have another big afternoon against HU’s high volume pass attack. Jarkevis Fields pace the Cats D with 30 tackles while Dyron Dye leads the way with 3.5 tackles-for-loss and 3 sacks. -BCU leads the overall series against HU 17-13-1 and have won 4 straight against the Bison. -Howard University has billed Saturday’s contest as “Think Pink Day” and encourage all game attendees to wear something pink in support of breast cancer awareness. 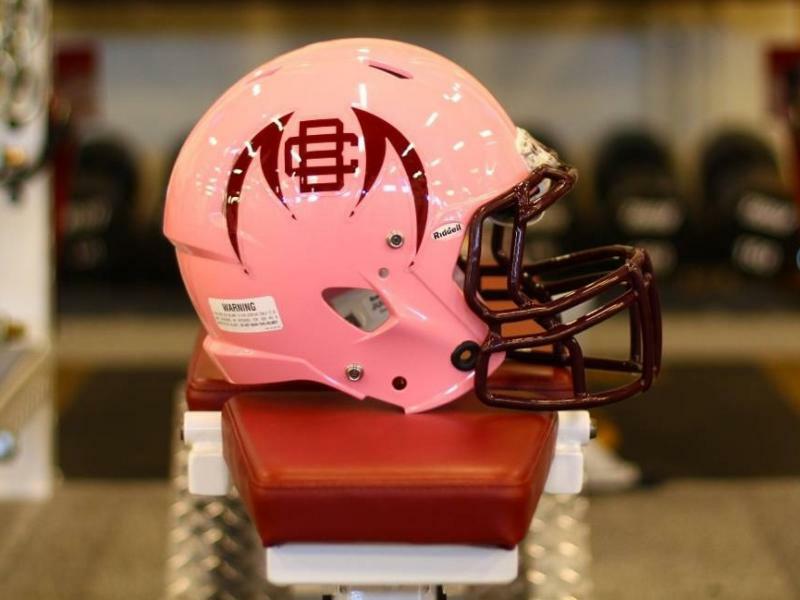 Perhaps Bethune will oblige by wearing the highly anticipated pink helmets….hmmmmm! We shall see. Kickoff is scheduled for 1:00.